Utah Autism Coalition: SB 55 cleared committee today - onto the Senate floor! SB 55 cleared committee today - onto the Senate floor! The hearing was standing room only. In a vote of 5-2 SB 55 cleared the Senate Business and Labor Committee and is on to the Senate Floor for a vote next week. 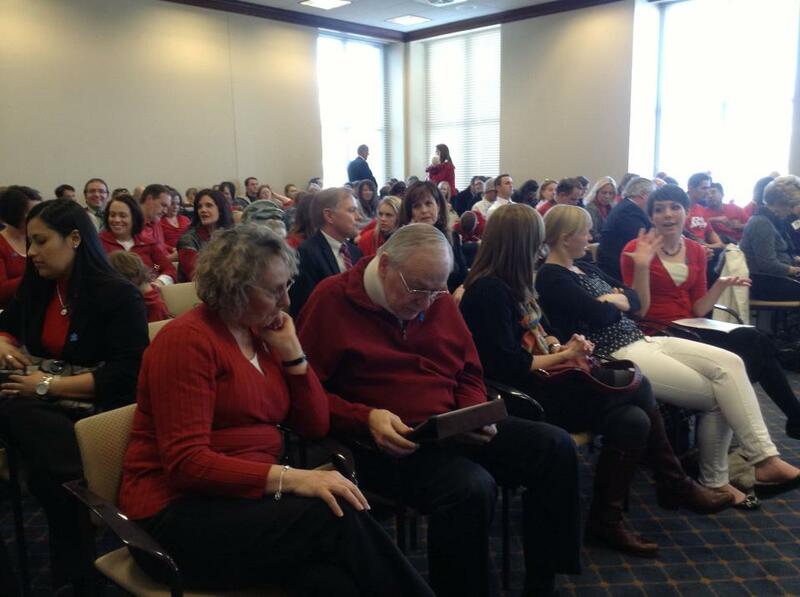 This wouldn't have happened without all the hard work of the Utah autism community and everyone who showed up at the hearing today. We've been referred to as an "autism rally" and a "sea of red". Way to show up! To read/watch some of the media stories on this committee hearing click the links below. We will try and update this list as new stories about this hearing are posted. Utah Senators: Vote YES on S.B. 55! SUPPORT SB55 - Utah Autism Insurance Bill!